We're thrilled to share Azra & Shawn's unique and glam reception event! This travel-loving twosome chose to have their event on the Chicago Classic Lady Cruise Line, since they felt this would be the ultimate representation of travel! 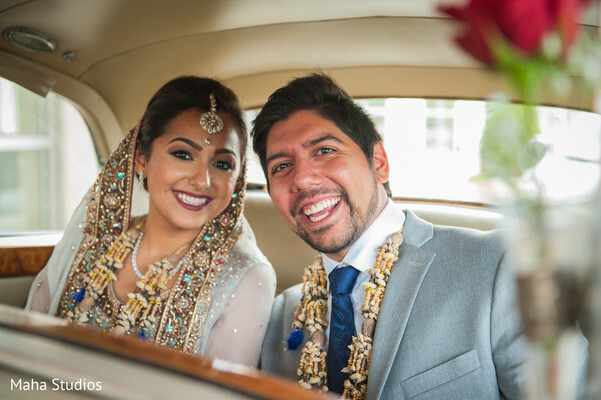 Maha Studios were the cinematographers and photographers of this once-in-a-lifetime event, and did an incredible job of capturing the beautiful newlyweds and their family in the gorgeous surroundings. 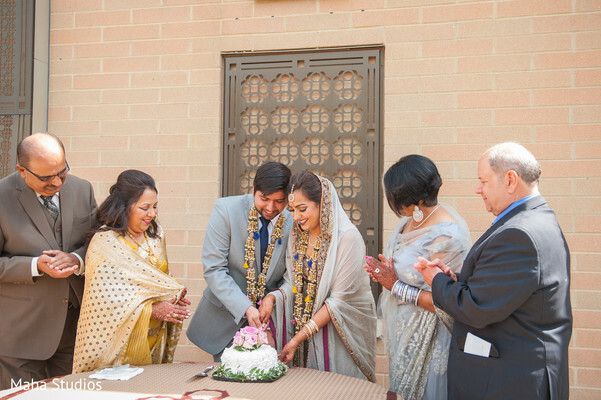 The couple felt very strongly about making sure their traditions and culture were woven throughout the events, and were thankful to planners at Washima Inc. for their help in making this happen! Regine Danielle Events and Professional Party Planners also were great aids in making the couple's wedding vision a reality. 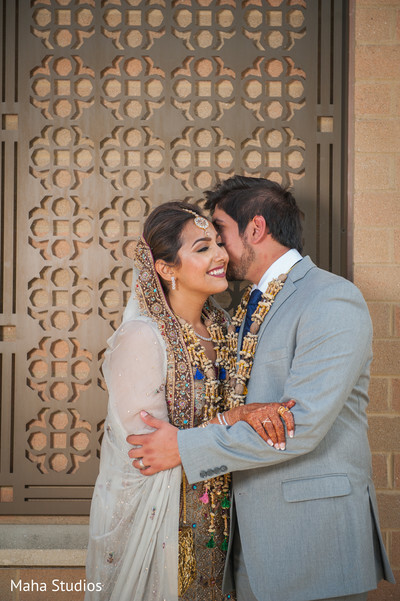 Azra and Shawn wanted to make sure their guests had delicious food and dessert, and the catering by Sabri Nihari and Indian Garden and Restaurant was beyond delicious! 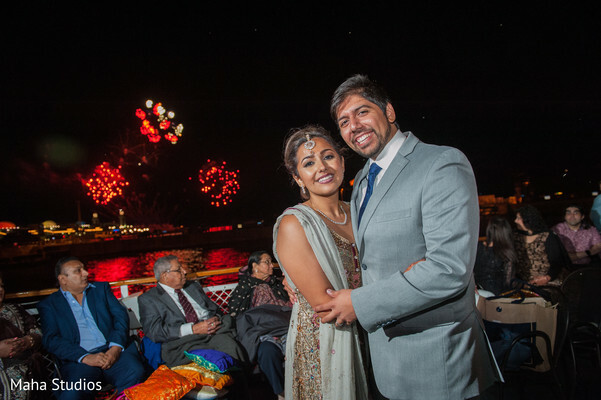 We interviewed Maharani Azra about highlights from the reception and she shared, "When we were on the boat during our reception, we were cruising over the Chicago River near Navy Pier, and the fireworks started. The band was playing amazing music, we were all dancing and enjoying the fireworks. It was the perfect end to a perfect wedding." Sounds truly magical! We're so happy that Azra & Shawn had such a fairytale send-off to their life as husband and wife, and we know these two will have so many more adventures together in the years ahead! 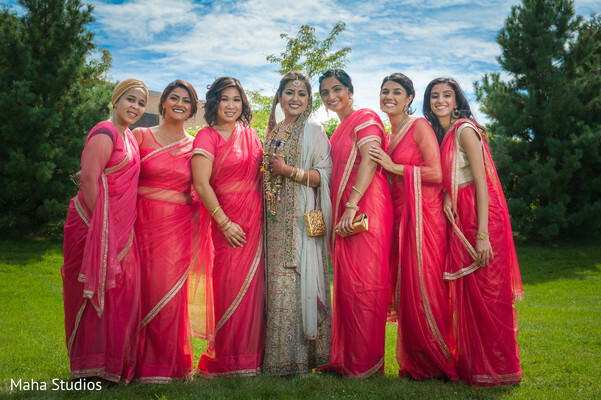 Check out all their fabulous wedding photos in the full gallery! Shawn and I met in 2012 during a college volleyball game held by our community youth and sports board. He was representing Michigan and I was playing for team Illinois. During the first game, our eyes met. According to him, it was love at first sight. But it wasn't our time just yet. I creamed him in the game, and that was the start of an amazing friendship. He became someone I could always lean on, a listening ear. He was always there for me no matter what the circumstance. That's why it took some convincing, but when we took our first steps together, we haven't looked back since! I remember the first time Shawn and I went to Starbucks to try and start planning. It was extremely overwhelming and we could not figure out where to begin. We would not have been able to navigate through all the venues and vendors if we did not have a starting place. We decided to work with Washima Inc. with My Wedding Assist as our wedding planners. They really took our vision and made it into a complete reality. I told them the raw/Pinterest ideas we had for each event, they came up with venues, themes, and most importantly vendors for us to look at. They accompanied us to each venue, to each meeting with staff and management, and really pulled the entire wedding together. They got me into contact with people who did hair and makeup and dupatta settings that had bookings into the next year. We started with our vision for each event. Because we love to travel and Shawn loves nature, we wanted our wedding theme to be around the world. That inspired the Mehndi to be a more natural event with lots of plants and flowers at a conservatory, the Pithi to be a more colorful Moroccan themed event, the Dholki to be more formal representing the traditions and dancing of Pakistan, and the reception to be over the water on a boat, which is the ultimate representation of travel. The best part was, Washima Inc understood how to incorporate our family traditions and culture into each event, really making our dream wedding vision into a reality. The most enjoyable part of the entire process was two-fold. First, it was extremely fun having our families come together to practice dances, work on favors, and put together our gift bags. None of this would have been possible without our parents spending night and day standing next to us to make our special weekend into a reality. The other part that was amazing was to see all the decor, food, ideas, planning, hair, makeup, outfits and dances come together, and to come together perfectly. The guests raved about a few things. 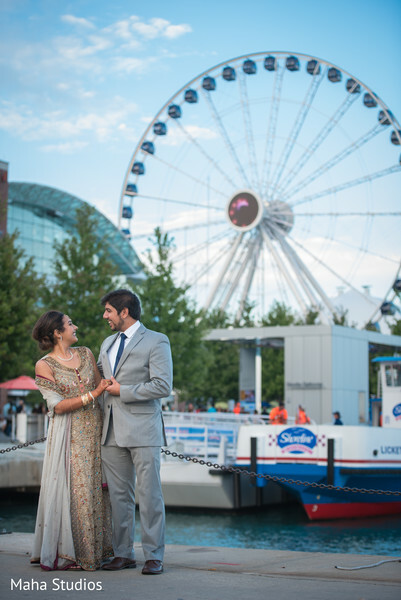 They loved how unique each venue was, especially the Mehndi and the Boat reception. The food was fantastic at all the events, and especially during the Dholki, we had a 30ft dessert bar that people could not stop talking about. Our DJ kept the party going every night with lots of dancing which was especially important to us and our guests! I think one thing that everyone appreciated was that all the events started on time and were extremely organized, all thanks again to our wedding planners, Washima Inc and event manager, Regina Brooks. 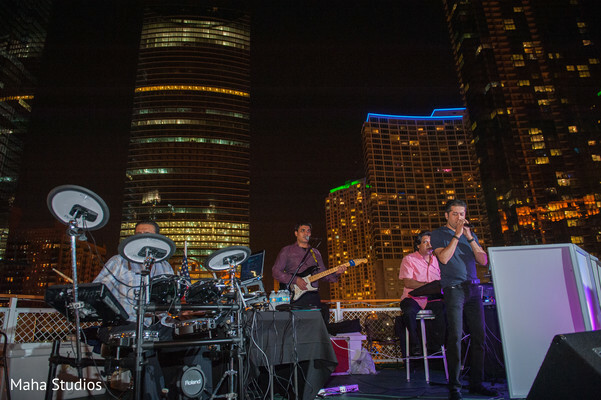 When we were on the boat during our reception, we were cruising over the Chicago River near Navy Pier, and the fireworks started. The band was playing amazing music, we were all dancing and enjoying the fireworks. It was the perfect end to a perfect wedding.